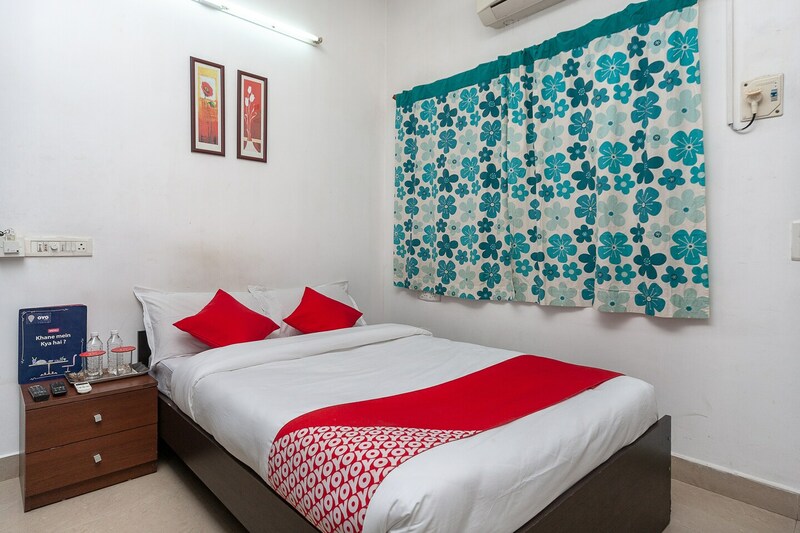 SilverKey Executive Stays 20004 KK Nagar offers travellers a comfortable and relaxing stay, with its decor showing that simplicity never goes out of style and that small accents are always more. The rooms are designed in a minimalistic manner, focusing on functionality and the use of soft hues feel soothing. Plenty of storage space is provided in the rooms so that guests can easily unpack their belongings. The property offers free WiFi service, elevators, power backup, parking facility and laundry service. There is a common dining area where guests can mingle and enjoy food. SilverKey Kodambakkam accepts card payments and also has a CCTV camera setup in place for added security.